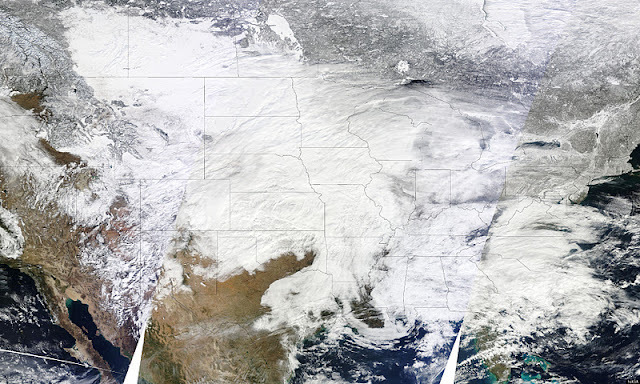 The storm, is captured in the following images by NASA's Moderate Resolution Imaging Spectroradiometer (MODIS) aboard NASA's Terra satellite as well as the GOES-13 satellite. 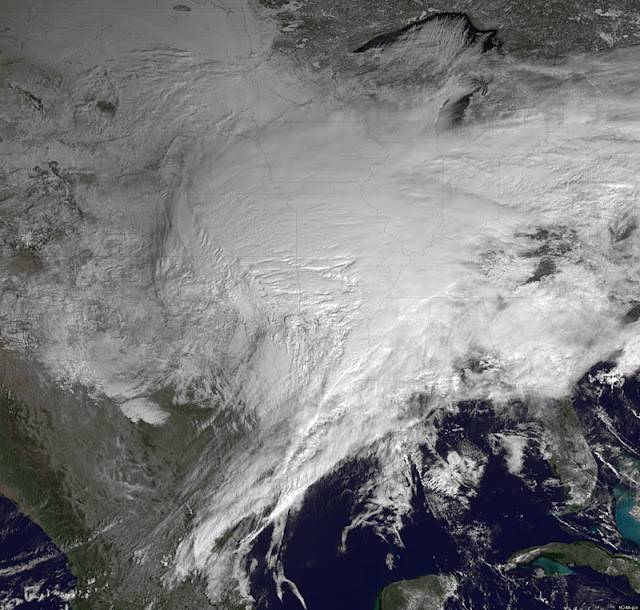 Visible and infrared images and animations of the storm's clouds and movement are created every 15 minutes by the NASA GOES Project at NASA's Goddard Space Flight Center, Greenbelt, Md. using data from GOES-11 and GOES-13, the Geostationary Operational Environmental Satellites. 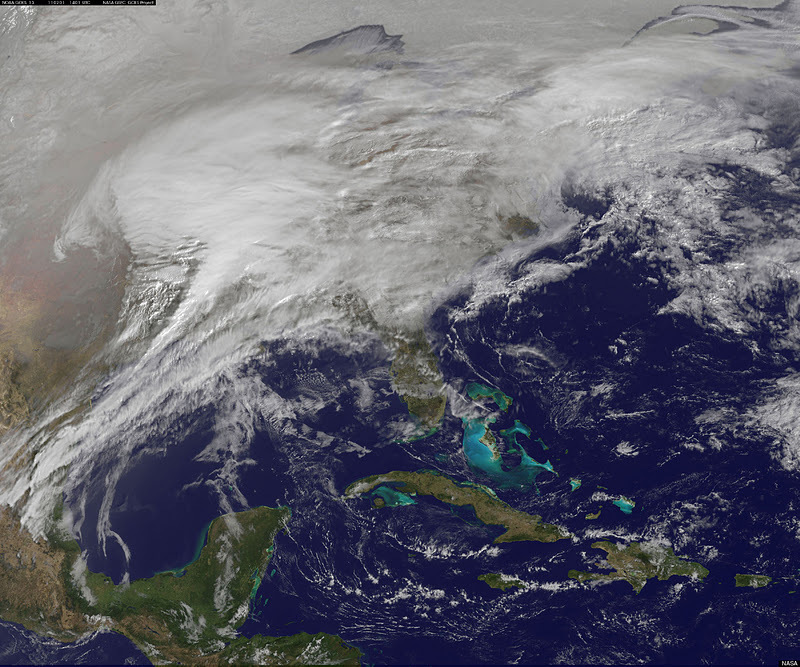 The GOES-13 and GOES-11 satellites that cover the eastern and western U.S., respectively, are operated by NOAA. 0 responses to "U.S. Snowstorm Seen From Space"